Ministers Grant Gibbons and Wayne Scott announced R•W•B’s Campaign to help promote reading and writing, and to celebrate and support the island’s literary community. 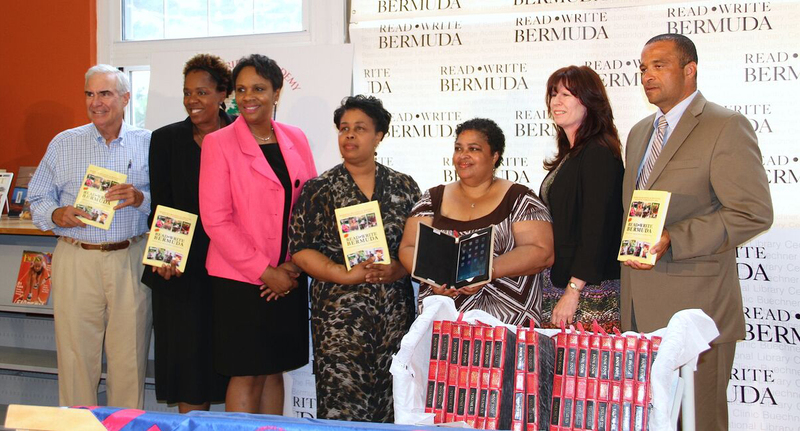 They were joined by representatives from the R•W•B partners, including the Bermuda National Library (BNL), CedarBridge Academy, The Reading Clinic, and the Buechner Society of Bermuda, as well as the Bermuda Community Foundation. Read the full article here or download the article here. © 2012 - 2016 Read • Write • Bermuda. All Rights Reserved.